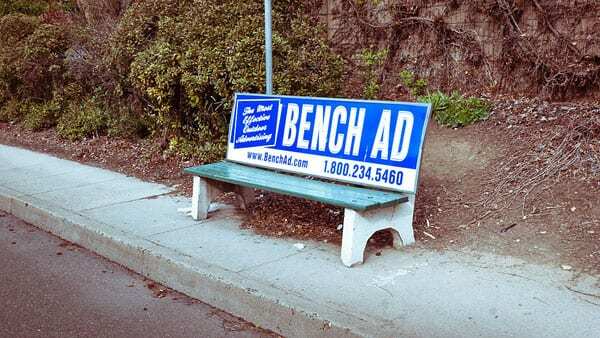 United Cerebral Palsy (UCP) of Stanislaus County’s bench program has a great setup: The nonprofit pays the city for the right to sell advertising on city benches and buses, which they do successfully, so both the organization and the city make money. UCP then hires adults with disabilities to maintain and repair the benches, paying them full minimum wage and teaching them job skills. The ad revenue covers most of the program costs and according to the city, the work on the benches is “stellar.” Everybody wins! That harmonious cycle was disrupted recently when Modesto issued an RFP for the bus benches and, for the first time ever, a competing bid was offered. For-profit Creative Outdoor Advertising of America, which is based in Florida, put in a bid, and the staff have recommended it to the city council over UCP’s. City spokesman Thomas Reeves said the decision was about money: Creative Outdoor offered $36,000 for the advertising rights, and UCP offered $18,000, a 25 percent increase over what they paid last year but still not enough to be competitive with the for-profit bid. My first and foremost priority has been the long-term strengthening of the financial condition of our city.…Unless Modesto sheds its “business as usual” approach and acts soon on multiple fronts, it is possible that the city general fund will struggle to supply even the most vital services to its citizens within five or ten years….The private sector—both for-profit and not-for-profit—will have to do more because the city cannot. Modesto is attempting to attract tech startups with a new passenger rail service, opening a new hospital, and otherwise taking a “pro-business approach,” according to city manager Joseph P. Lopez, to increase its tax base. While a study from UC Berkeley’s Urban Displacement Project did not predict significant gentrification in the area, it’s not impossible that higher taxes and more tech businesses might bump up the cost of living. Which brings us back to the competitive bidding process. The loss of this contract won’t crush UCP; it represents less than one percent of their program revenue and expenditure and employs only about two dozen people. They seem to have a number of contracts, and like most contract-based nonprofits, they also do some fundraising to cover full costs. But if the city’s point is that it needs to be able to cover services for their residents, then scrapping a program that not only provides city revenue but employs people with disabilities seems like shooting themselves in the foot. The extra $18,000 Modesto makes by contracting with Creative Outdoors is unlikely to cover the expense of providing services to the people with disabilities who now don’t have jobs. It’s significantly harder for people with disabilities to find employment, and Creative Outdoors has made no promises. When asked about whether he would hire UCP’s workers, company president David Gray said, “In order to live up to our obligation to the city, we need a strong financial environment,” echoing language from the mayor’s financial report. NPQ reported in 2017 that the rate of unemployment among people with disabilities was 70 percent, in part due to failure by employers to follow through with recruitment. Even if there were no human factors in this equation, it seems shortsighted for Modesto to end a successful employment program. Hold a special meeting of your nonprofit board to lay some quick plans about encouraging your stakeholders to make it to the polls and get out there and help. And, to be clear, you are of course allowed by law to do so.